This logo was developed for a cannabis extract company. They requested a 'space' theme and I came up with this concept based on NASA mission patches. The primary logo can stand alone, but when applied to product packaging a banner is implemented to differentiate the flavor / strain contained within. 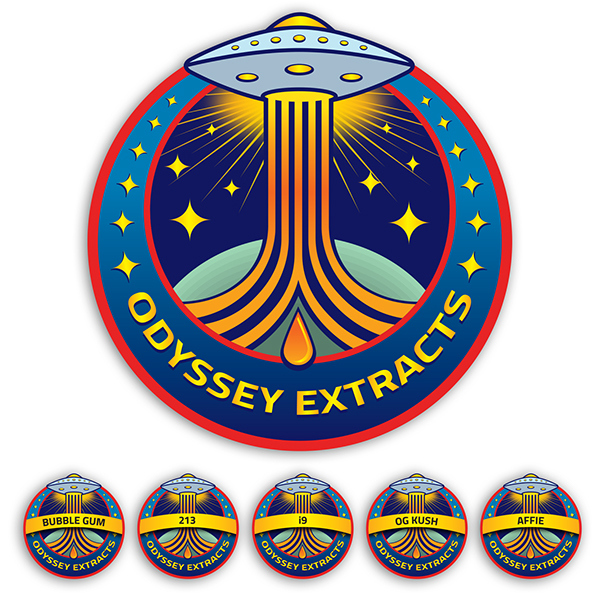 The client and I liked the idea of the mission patch due to its flexibility. As they expand their product offerings we can modify the image while using the same visual foundation to create another logo that is in the same family, but has unique elements that are tailored to the new product. Branding and logo design for a cannabis extract company out of Oregon.